Christmas is just 5 days away, I was out grabbing a few last minute items yesterday and the stores are packed. There are tons of people still working on getting ready for the big day. Well, I have a few easy, last minute project ideas that might help you finish up. This first project is a gift box, it measures 4h x 4w x 4d. It is perfect for anything small and somewhat lightweight. All you need is 1 – 12 x 12 scored at 4 inches on all four sides to create the box, 1-6 x 6 scored at 7/8 inch on all sides to create the lid. That will make the box and all you have left is to decorate it. This next project is a fun gift bag. You will need 2 – 8-1/2 x 11 scored at 1/2 and 3 inches long ways and 2-1/2 inches from the bottom. 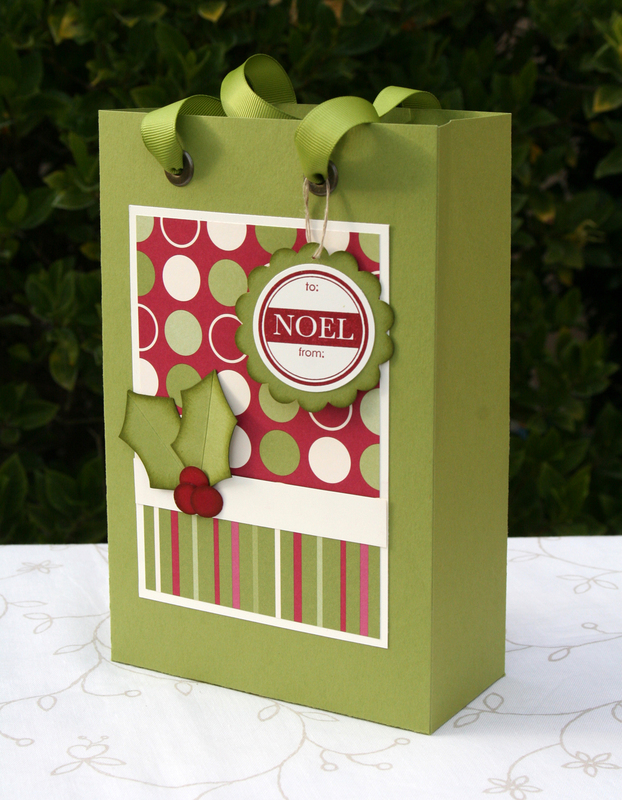 Put these two together to create the gift bag. 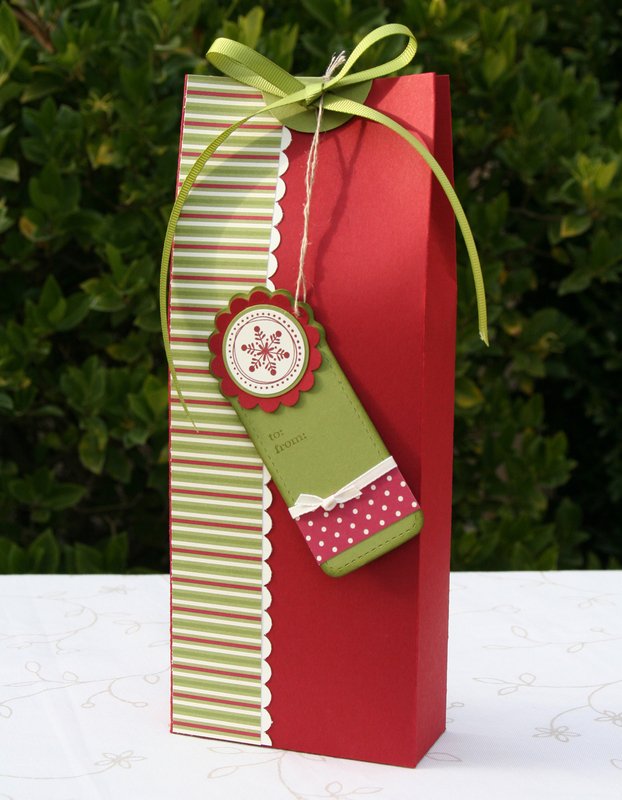 This tall gift bag is made from 1- 12 x 12 sheet of cardstock, scored at 1/2, 4-1/2, 6-1/4 and 10-1/4 side to side. Then score 1-3/4 from the bottom. 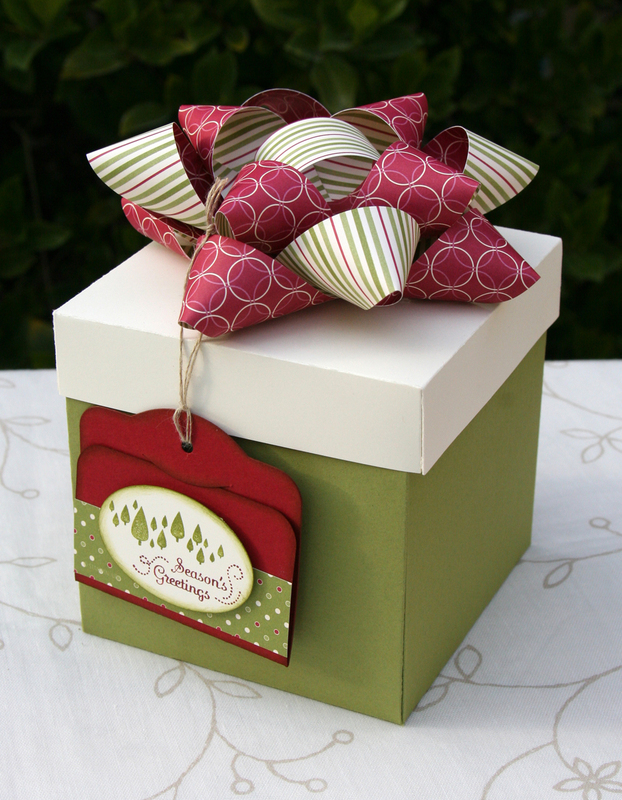 Once folded and glued, will create a tall, thin bag perfect for any Secret Santa gift! Just in case you’re like me and haven’t gotten all of your Christmas cards out, here are a couple samples of what we did in my Christmas Card Stamp-a-Stack a couple months back. Accessories: Big Shot Die Cutting Machine, Two Tags Die, XL Oval Punch, 2-3/8 Scallop Punch, 1-3/4 Circle Punch, 1-3/4 Scallop Punch, 1/2 Circle Punch, 1/16 Hole Punch, Scallop Edge Punch, 1-3/8 Circle Punch, 1-1/4 Circle Punch, Jumbo Eyelets, Crop-a-dile, Linen Thread, Old Olive 5/8 Grosgrain, Old Olive 1/4 Grosgrain. 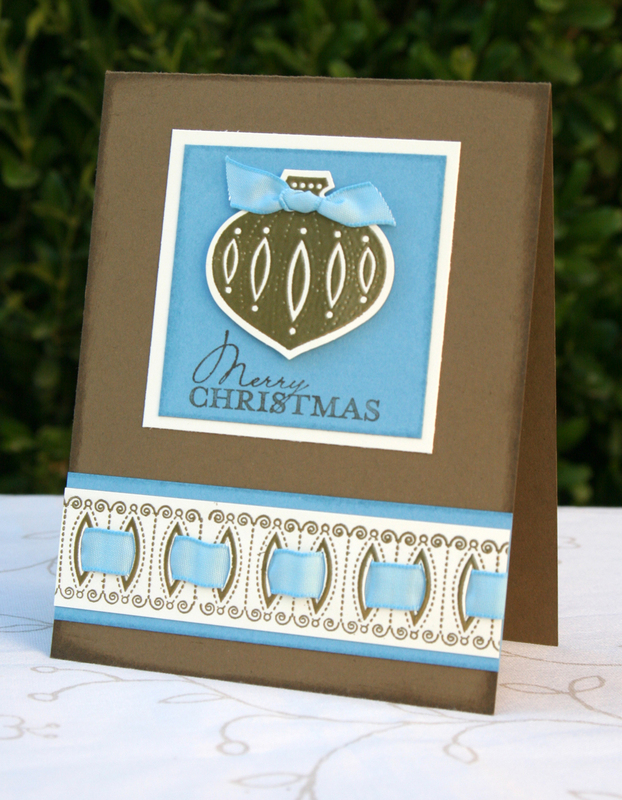 All Supplies can be purchased at my Stampin’ Up website. Thank you for checking out my blog. Make sure to check back tomorrow! Looks great! I’m hoping to get one up somewhere along the line. Did you drop you drop your SU website now that you have this one going? I’ll put you in my favorites to see what other great ideas you share. Thanks for the information on the blog. Awesome projects! Thanks for sharing your instructions on how you made these awesome bags!